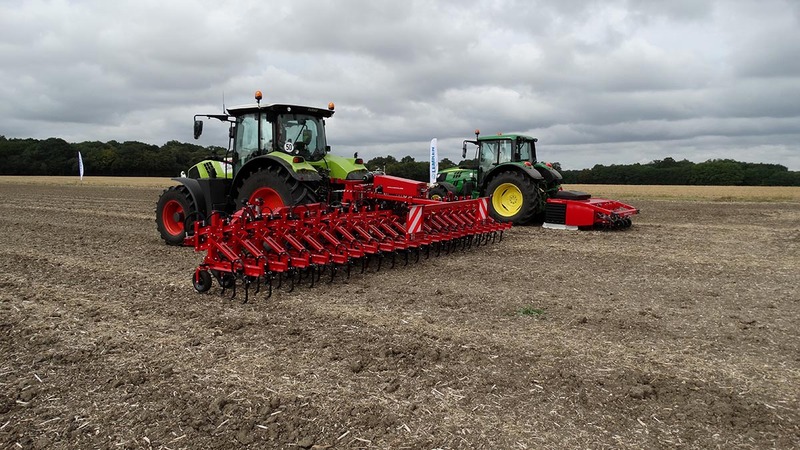 Lemken has announced the acquisition of cultivation and weed control specialists Steketee. 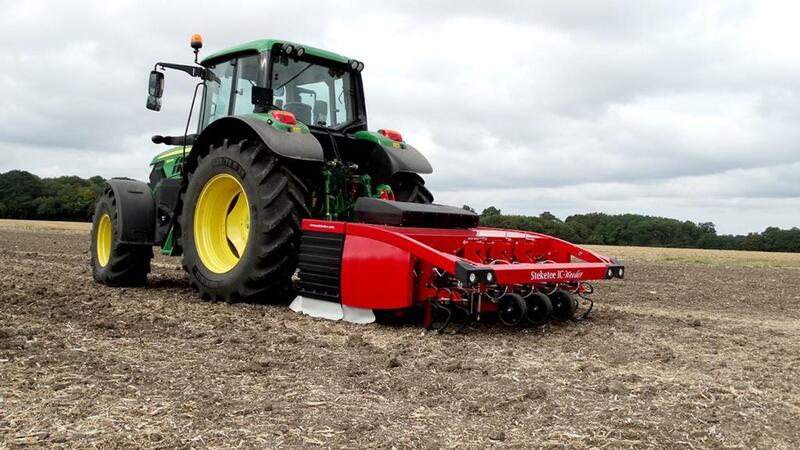 The Dutch company founded in 1969 has found much favour on the continent for its precision seed bed cultivators and innovative weeding solutions. Recently the focus of the company has been on precision weed control, through chemical and more importantly for Lemken, mechanical means. Among Steketee’s product portfolio is the clever IC-Weeder. The mechanical weeder is made up of a fixed part that is coupled to the tractor and a sliding part to which the hoes are fixed. Industrial spec cameras are fitted under the hood on the main frame of the machine. For each camera there are two high power LED lights providing constant lighting, required to eliminate the interfering influence of sunlight and shadow on the camera images. Camera images that follow the crop rows are interpreted by a computer, which sends instructions to the lateral moving hoes on the rear of the machine, eliminating weeds and manoeuvring around the crop. Two sensors for height measurement are also fitted as the distance from the cameras to the crop is important for the accuracy of hoe guidance. Hydraulic cylinder are attached to the support wheels for continuous automatic height adjustment of the machine. At present the IC-Weeder is available in 1.5- eight metre working widths, and is focused on the vegetable and high value crop sector. However it is conceivable that with Lemken’s investment, production and development of the machine and its technology will be increased to make it competitive in more arable situations. In addition, Steketee manufacture a drag type hoe of up to 12 metres, that will be of interest to large scale organic farmers. The system is wholly modular, enabling infinite adjustment of row spacing, and when used with RTK in conjunction with drilling done the same way, provides very good results according to the company. These hoes cannot move between plants, however for crops such as maize, could be very effective in weed management. Steketee also own, the African tillage company Rumptstad, which is included in the sale to Lemken. Rumptsad specialise in mechanising African smallholders, with products including a walk behind tractor, power harrow and various planters.